Interested in learning more about how digital tools can change learning? Check out Laura DeVaney’s article, “The top ways digital tools transform learning,” and access our Speak Up 2013 report. eSchool News covers education technology in all its aspects–from legislation and litigation, to case studies, to purchasing practices and new products. 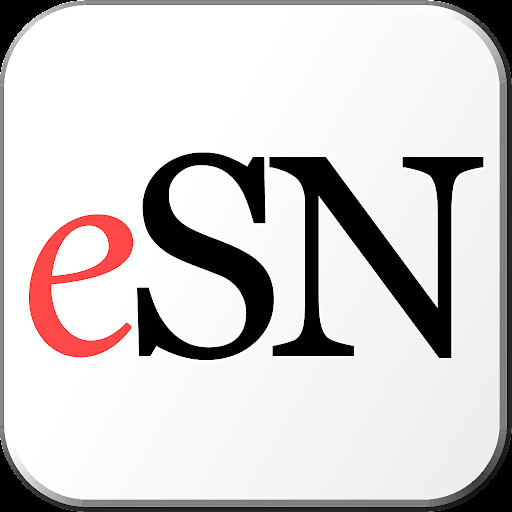 First published in March of 1998, eSchool News is a monthly print and digital newspaper providing the news and information necessary to help K-20 decision-makers successfully use technology and the internet to transform North America’s schools and colleges and achieve their educational goals. The newspaper is read by more than 300,000 school leaders, and a companion web site—eSchool News Online (http://www.eschoolnews.com ) is visited by more than 500,000 unique visitors each month, including over 280,000 registered members. This entry was posted in digital tools, eSchool News, Speak Up 2013 on August 4, 2014 by project_tomorrow. Are you going to ISTE in Atlanta? Registration required, visit the ISTE Conference Registration Site for more details. This entry was posted in Conferences, ISTE, Speak Up 2013, Speak Up on the Go, Speak Up sessions on June 26, 2014 by Project Tomorrow. On June 2, 2014, Project Tomorrow released the report “The New Digital Learning Playbook, Advancing College and Career Ready Skill Development in K-12 Schools” at a Congressional Briefing held in Washington, DC and online in a special live stream of the event. Julie Evans, Project Tomorrow CEO, discussed selected educator and parent national findings from the Speak Up 2013 report and moderated a panel discussion on the impact of digital learning tools to support college and career readiness in K-12 schools with leaders in the education field. Over 70 people attended the Congressional Briefing including congressional staff members, student and staff representatives from some of our Speak up schools, and staff from many of our sponsors, champion outreach partners and non-profit partners. Additionally over 500+ people watched the briefing online through our live stream feed and took the conversation online via social media using the hashtag#SpeakUpBriefing. Watch the recording of the briefing online here. We also encourage you to take the conversation online and tweet your thoughts on the briefing! Don’t forget to mention @SpeakUpEd/@ProjectTomorrow and/or #SpeakUpBriefing so we can see what you have to say! The New Digital Learning Playbook: Advancing College and Career Ready Skill Development in K-12 Schools is the second in a two part series to document the key national findings from Speak Up 2013. For the past eleven years, Project Tomorrow’s® annual Speak Up National Research Project has provided schools and districts nationwide and throughout the globe with new insights into how today’s students want to leverage digital tools for learning based upon the authentic, unfiltered ideas of students themselves. In our first report on the findings from the 2013 Speak Up National Research Project, “The New Digital Playbook: Understanding the Spectrum of Students’ Activities and Aspirations,” we provided thought-provoking new insights into how today’s students are already tapping into digital tools, both in and out of school, to personalize learning and to self-prepare themselves for future college or career success. The findings discussed in this report are based upon the online Speak Up surveys completed in fall 2013 by 39,986 teachers and librarians and 4,530 school, district and technology administrators representing 9,005 schools and 2,710 districts nationwide. Additionally, as part of the important capacity discussion, we also highlight the views of both parents of school-aged children (32,151) and community members at large (1,346) about the linkages between school, technology, and students’ future success. ▪ How do K-12 education stakeholders define college and career ready skills, especially within the context of digital learning? ▪ How are classroom teachers using digital tools and resources to support students’ development of college and career ready skills? ▪ How are schools and districts building up both their capacity for digital learning and meeting the new imperative of preparing students for an uncertain future? ▪ How can parents and community members support classroom use of technology and district goals for skill development? These are important questions for both national as well as local discussions. It is our privilege to share this year’s Speak Up national findings to inform these conversations so every child, in every grade, in every community has the same opportunity to dream big and realize their potential on whatever path they choose to success. ▪ More than 40 percent of high school principals are now offering online classes for students in math, science, history and English/language arts. Only 17 percent of high schools are not offering online classes, according to school principals. ▪ Principals are offering online learning for multiple reasons, including providing academic remediation (66 percent), keeping students engaged in staying in school (63 percent) and providing options for students that need credit recovery (61 percent). ▪ Teachers who teach online classes, in particular, see a strong correlation between the use of technology and students’ college and career ready skill development. More than half of these teachers say technology use helps students understand how to apply academic concepts to real world problems (58 percent), take ownership of their learning (57 percent) and develop problem solving and critical thinking skills (57 percent). ▪ The professional development requests of teachers are fairly common among new and veteran teachers. Even new teachers, who are presumed to be more digitally native and comfortable with technology, have a wish list of professional development support. The rookie teachers have a greater interest than other teachers in learning more about incorporating games and using social media with both students and parents. ▪ Parental support of mobile device as part of learning does not appear to have an economic, community type or grade level bias. Around 60 percent of all parents said they would like their children to be in a class where using one’s own mobile device was allowed. Two-thirds said they would purchase a mobile device for their child to use within class, if that was allowed by the school. ▪ Two-thirds of community members and a similar number of parents of school-aged children expressed support for paying $.50 more per month on their phone bill if those funds were used to increase school access to the Internet for student learning. ▪ One-third of elementary school teachers (32 percent) report using games in their classrooms. The top two reasons given for using games within instruction were increasing student engagement in learning (79 percent) and providing a way for teachers to address different learning styles in the classroom (72 percent). This entry was posted in congressional briefing, Speak Up, Speak Up 2013 on June 5, 2014 by project_tomorrow. Watch our 2nd Congressional Briefing here! This entry was posted in congressional briefing, Speak Up 2013 on June 4, 2014 by project_tomorrow. Our 2nd Congressional Briefing is coming up! Please join us for the release of the Speak Up 2013 National Findings. This is the second of two Congressional Briefings on the data results from the 403,000 online Speak Up surveys submitted from education stakeholders nationwide in fall 2013. The June 2nd briefing will include a presentation of the national findings and a moderated panel discussion with leaders in the education field. This year’s national report, “The New Digital Learning Playbook, Advancing College and Career Ready Skill Development in K-12 Schools” will be distributed to all attendees. Click here to RSVP to this in-person event! If you are unable to attend the briefing and would like to request a copy of the report, click here or email us with your reservation request! To download a copy of the first report on K-12 Student data, “The New Digital Learning Playbook: Understanding the Spectrum of Students’ Activities and Aspirations” please click here. This entry was posted in congressional briefing, Speak Up, Speak Up 2013 on May 23, 2014 by project_tomorrow. Speak Up 2013 data featured on eSchool News! Students increasingly use social media apps such as Instagram, Snapchat, and Vine (44 percent of students in grades 6-12) while use of Facebook has declined. Digital reader access is highest in grades 6-8, with 48 percent of students reporting they had access to such devices. Online assessments have grown with 47 percent of middle school students taking online tests, compared with 32 percent four years ago. To view more data from the report, check out Speak Up: The current state of digital learning by Laura DeVaney or download the full report from our website. This entry was posted in eSchool News, Speak Up, Speak Up 2013, Speak Up reports on April 14, 2014 by project_tomorrow. The New Digital Learning Playbook: Understanding the Spectrum of Students’ Activities and Aspirations is the first in a two part series to document the key national findings from Speak Up 2013. For the past eleven years, Project Tomorrow’s annual Speak Up National Research Project has provided schools and districts nationwide and throughout the globe with new insights into how today’s students want to leverage digital tools for learning based upon the authentic, unfiltered ideas of students themselves. We apologize to everyone who tried to watch the live stream on Tuesday – we unfortunately had Internet connectivity problems without our own building, which led to problems with the live stream. If you were unable to attend the congressional briefing or watch the live stream, you can view the full event on our website or on the video above. If you are interested in viewing the full report you can download it from Project Tomorrow’s website here. Furthermore, in accordance with yesterday’s congressional briefing and release of the report, the findings have been featured across the Internet – notably on T.H.E. Journal, Mind/Shift, and Education Week. Check out the articles below! Thank you everyone for supporting Speak Up & Project Tomorrow! Stay tuned for more information about our second Congressional Briefing on June 2nd! This entry was posted in congressional briefing, Education Week, MindShift, Speak Up, Speak Up 2013, T.H.E. Journal on April 10, 2014 by project_tomorrow. Washington, D.C. –The stereotype that girls do not play digital games is outdated, according to the latest report from the Speak Up 2013 survey of students, teachers, administrators and parents released today. In 2013, approximately 42 percent of girls in grades 3-5 and 37 percent of girls in grades 6-8 said they regularly play games on tablets compared to 38 percent of boys in grades 3-8. A similar pattern exists with game play on smartphones with equal percentages of girls and boys in elementary (28 percent) and middle school (45 percent) playing games on these devices. Approximately 25 percent of teachers surveyed this year are integrating digital games into their instructional plans, and students report searching for games on their own to help them learn. Nearly one-quarter of middle school students reported that they have played an online game outside of school specifically to learn something. Among students who self-identified as advanced technology users, this number was 50 percent – among both girls and boys. · Girls outpace boys in use of many digital tools for learning, particularly the socially based tools like texting and collaborating online. · 29 percent of high school boys say that they are very interested in a job or career in a STEM field, but only 19 percent of girls say the same. This gap remains even among girls and boys who self-assess their technology skills as advanced. During the seven years that the Speak Up surveys have polled high school students on their interest in STEM fields, the level of student interest has not increased significantly. · Students continue to report less regular interaction with traditional social networking sites like Facebook, while 44 percent of students in grades 6-12 report using social media apps like Instagram, Snapchat and Vine. Nearly one-third of high school students reported using Twitter. · One-quarter of students in grades 3-5 and nearly one-third of students in grades 6-12 say that they are using a mobile device provided by their school to support schoolwork (these percentages were greater among Title I schools than non-Title I schools). · In four years, the percent of middle school students taking tests online increased from 32 percent to 47 percent. · High school students reported a mean average of 14 hours per week using technology for writing. · Digital equity, including to student access to the Internet outside of school, is a growing concern among district technology leaders with 46 percent saying it is one of the most challenging issues they face today (compared to just 19 percent in 2010). The 2013 online survey – completed by more than 400,000 K-12 students, parents, teachers, administrators and community members – offers the largest collection of authentic, unfiltered input on education and technology from those ‘on the ground’ in the schools. In fall 2013, Project Tomorrow surveyed 325,279 K-12 students, 32,151 parents, 39,986 teachers and 4,530 administrators representing 9,005 public and private schools from 2,710 districts. The Speak Up 2013 surveys were available online for input in October, November and December 2013. The annual survey about education and technology is facilitated through public, private and charter schools all around the country; every school is eligible to participate. The results provide important insights about education, technology and student aspirations to individual schools, state departments of education and national leaders. Since 2003, more than 3.4 million K-12 students, educators and parents from more than 35,000 schools in all 50 states have participated in Speak Up. The online survey is facilitated by Project Tomorrow and supported by many of our nation’s most innovative companies, foundations and nonprofit organizations including Blackboard, Inc., BrainPOP, DreamBox, K12, Inc., Rosetta Stone, Schoolwires and SMART Technologies. Project Tomorrow partners with more than 75 different education associations, organizations and think-tanks for outreach to the schools and development of the survey questions including the American Association of School Administrators, Consortium for School Networking, Digital Learning Day, Digital Promise, edWEB.net, Flipped Learning Network, iNACOL, International Society for Technology in Education, National Association of Secondary School Principals Association, Southern Regional Education Board and State Education Technology Directors’ Association. This entry was posted in internet access, Speak Up 2013, STEM on April 8, 2014 by project_tomorrow. On April 8, 2014 Project Tomorrow released the report “The New Digital Learning Playbook: Understanding the Spectrum of Students’ Activities and Aspirations” at a Congressional Briefing held in Washington, DC and for the first time, online in a special live stream of the event. Julie Evans, Project Tomorrow CEO, discussed selected student national findings from the Speak Up 2013 report and moderated a panel discussion with students who shared their insights and experiences with digital learning. Girls outpace boys in use of many digital tools for learning, particularly the socially based tools like texting and collaborating online. 29 percent of high school boys say that they are very interested in a job or career in a STEM field, but only 19 percent of girls say the same. This gap remains even among girls and boys who self-assess their technology skills as advanced. During the seven years that the Speak Up surveys have polled high school students on their interest in STEM fields, the level of student interest has not increased significantly. Students continue to report less regular interaction with traditional social networking sites like Facebook, while 44 percent of students in grades 6-12 report using social media apps like Instagram, Snapchat and Vine. Nearly one-third of high school students reported using Twitter. One-quarter of students in grades 3-5 and nearly one-third of students in grades 6-12 say that they are using a mobile device provided by their school to support schoolwork (these percentages were greater among Title I schools than non-Title I schools). In four years, the percent of middle school students taking tests online increased from 32 percent to 47 percent. High school students reported a mean average of 14 hours per week using technology for writing. Digital equity, including to student access to the Internet outside of school, is a growing concern among district technology leaders with 46 percent saying it is one of the most challenging issues they face today (compared to just 19 percent in 2010). Project Tomorrow was very pleased to welcome staff from American Association of School Administrators, Alliance for Excellent Education, Apple, Inc., Arlington County Public Schools, Baltimore City Public School System, Baltimore County Public Schools, Blackboard, Inc., Colonial School District, CoSN, EdTech Strategies, LLC, EdTechReview, Educational Testing Service, Elmore County Public Schools, Fairfax County Public Schools, Federal Communications Commission, Frederick County Public Schools, Fulton Creative Counsulting, Impact Aid Association, iNACOL, Institute of Museum & Library Services, International Society for Technology in Education (ISTE), Learning First Alliance, Morgan State University/NASA Office of Education, MWW Group, NAFIS, National Association of State Boards of Education (NASBE), National Council of Teachers of English, National Museum of Natural History, National Science Foundation, Prince George’s County Public Schools, Qualcomm, State Education Technology Directors Association, The Center for Education Reform, US Department of Education, US House committee on Education, US House and US Senate. Students and parents from Baltimore City Public Schools (MD), Baltimore County Public Schools (MD), Fairfax County Public School District (VA) and Frederick County Public Schools (VA) shared their insights regarding personalizing their own learning. This entry was posted in congressional briefing, Project Tomorrow Report, Speak Up, Speak Up 2013 on April 8, 2014 by project_tomorrow.